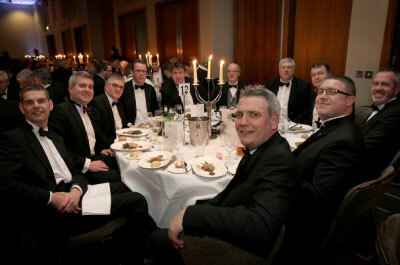 On Friday 6th February, I was invited to the Institution of Engineering and Technology annual dinner at the Hilton Hotel in Liverpool. It was described as ‘the premier networking event in the engineering and technology calendar, attended by 1000 engineers and industry leaders from over 67 of the most prominent international companies and organisations’. This diversity of industries was displayed on our table which included senior people from pharmaceutical, energy, automation, clothing, medical and composites sectors. As an outsider in a variety of early engineering conversations and introductions it struck me that the outlook for Northwest and UK engineering is as strong as ever. Key subject matters surrounded capital investment, the need for space and a subject close to my heart, recruitment. It seemed that most businesses were forging ahead with plans to invest and bring in top quality people which is a great sign for the upcoming years. Clearly these were not the only conversation topics as good food and drink was also on the menu! The lead speaker was Juergen Maier, Chief Executive of Siemens whose speech was based around the Northwest being a historic heartland for engineering excellence which reminded me of Cygnets mission statement. He asked everyone to envisage a time of a century ago when it would be likely that everyone would be in a similar place, wearing similar (black tie) attire discussing pioneering engineering concepts and products. His passion and optimism for the future of UK engineering was clear and similarly to Perpetual’s philosophy he believed more strength would be created through partnerships and collaborations between companies with similar values and vision. It was a real pleasure to meet a great group of people with the same passion for the UK engineering future as we have at Cygnet and this could not have been phrased better than Neil Armstrong’s quote from a 2000 conference where he said ‘science is about what is; engineering is about what CAN BE’. 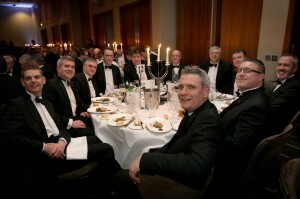 After this night I truly believe UK engineering is alive and well!